The other day I went out with friends, we walked around the mall, bought few things, I mean everything! I love shopping it heals 🙂 … We sat in a coffee shop, but while there, the smell of cinnamon hit me. I was sipping coffee and craving Indian tea. Did this ever happen to you?! Maybe I should have some Indian Strong Tea. 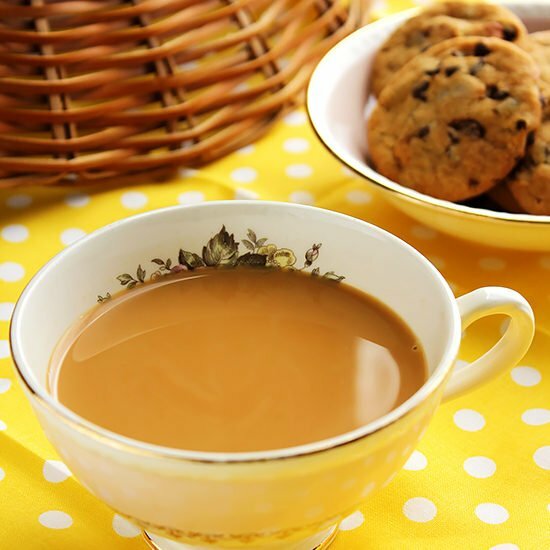 Making tea is not difficult, but you need to get the right ingredients. Not every black tea is a good tea, some brands can actually make you hate drinking tea. Good black tea will not have a bitter smell from the first boil. If you bought a good tea, it will smell sweet and when added to boiling water the aroma will fill the air. I’m making a strong tea, but not compromising the taste. 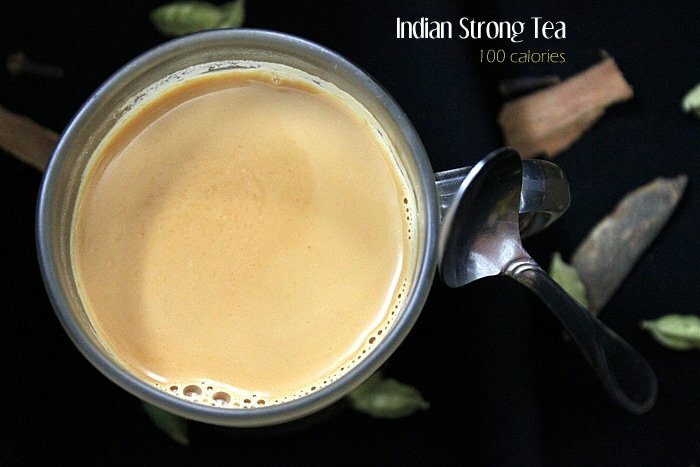 Please follow the method and read the notes to get the perfect Indian Strong Tea. Indian Strong Tea, Karak Chai. 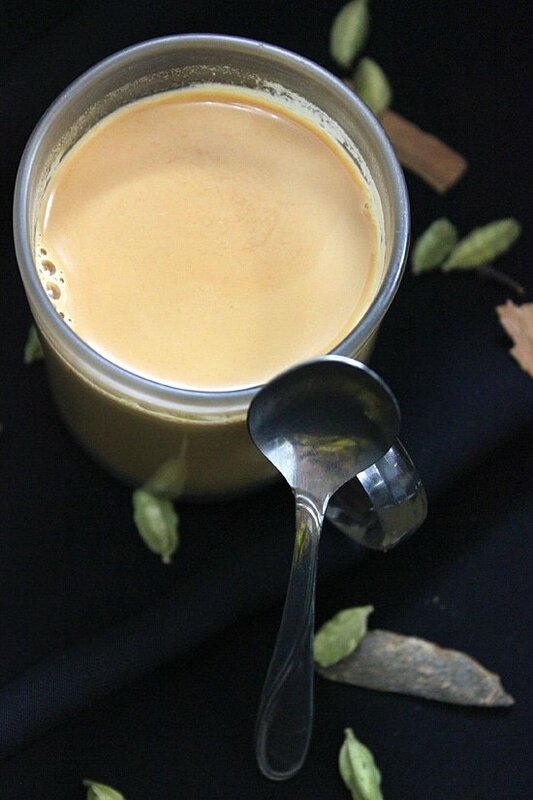 This recipe is for a strong Indian tea perfumed with cardamom and other warm spices. It is delicious and a must try! 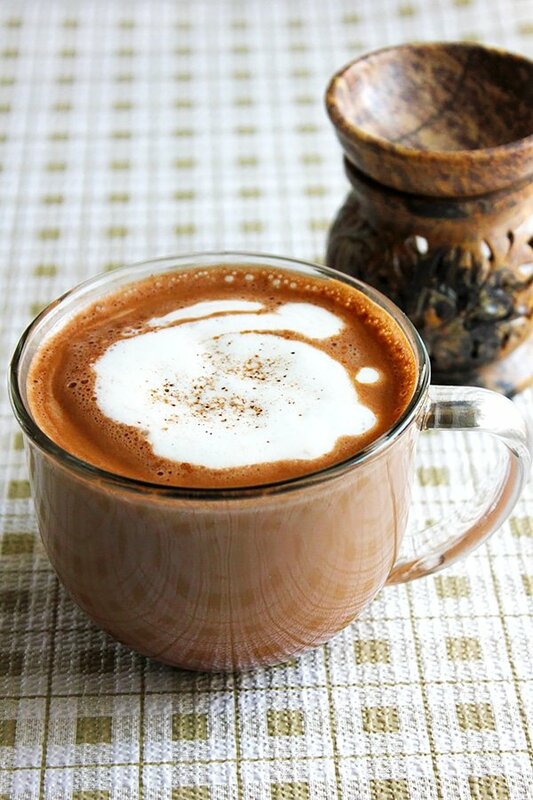 - In a saucepan, add the water, ginger, cinnamon, cardamom, and clove. - When the water comes to a boil, add sugar and the tea bags, reduce the heat. Let it simmer for 1 minute. - Turn off heat and cover the tea. Let it steep for two minutes. - Add the milk and bring the tea to a boil. Let it boil for 1 minute. - Strain the tea and serve hot. Note 1: Tea is very delicate, letting it boil for long will change its taste and reduce the flavor. Note 2: Steeping the tea is the best way to let the flavor of the spices and tea come together, so don't skip this step. Note 3: You can reduce the calories by reducing the amount of sugar and using low fat evaporated milk. I am not used to having tea with milk…always plain. Now I am tempted to give it a try again! he told me these steps, it is the same mentioned above but with some different. 1) put cardamom with water and let it boiled for 5 minutes. 2) add Indian black tea then boil again for more 2 minutes. 3) add the clove and ginger and let it boil for more 2 minute. 4) stop boiling, then add evaporated milk and wait for 2 minute, then let it to start boiling again for 5 minute. you will have a strong delicious taste. I’d love to give it a try and see how different it is in taste, although it sounds delicious already 🙂 … Thanks for sharing. Okay this great, not so spicy, i make it way spicy, but I like your version, i guess evaporated milk will taste better! need to buy some! Hi Mare, Thank you so much for your comment 🙂 I’m glad that you and your guests enjoyed my recipes!